To maintain the maximum performance of your computer, you need to update the device drivers regularly. The video card is one of the most critical components of the system, and its driver must always be kept up to date. Before you update the graphics accelerator driver and select them rightly for your system, you need to know the exact model and manufacturer of the card that is installed on your computer or laptop. And then you can download drivers for Windows 7, Windows 8, Windows 10 at AMD Drivers Download and work as usual. To determine the name of the video card, you do not need to disassemble the system unit or install additional programs to identify the components. It is enough to use the system utility “DirectX Diagnostic Tool” built into any version of Windows. Open the Start menu, type dxdiag in the search bar, and open dxdiag.exe in the search results. To run dxdiag in Windows 8, start the search bar with the + (Win + Q). After the diagnostic tool starts, wait until the system analysis is complete. On the main tab, you will see summary information on your system: the processor model, the amount of RAM, the size of the swap file and the version of DirectX. 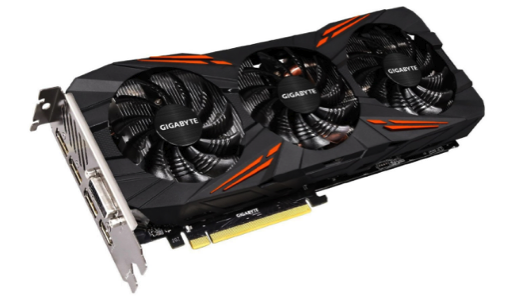 Go to the second tab “Screen” where you can find the detailed information about the model of the video card and its manufacturer. For example, on your computer can be installed a card series AMD Radeon HD 6800 Series or the one shown in the screenshot below. This information is more than enough to find the actual driver. Now when we know the model of the video card, we can start updating the driver. If the manufacturer of your card is AMD (Advanced Micro Devices), one of the options is to download a small and handy utility AMD driver downloader to determine the most suitable drivers for your system from the official AMD website. This utility does not need to be installed – just run it, and it automatically prompts you to download the necessary and most current driver from the official AMD server. For the standard installation and operation of the ATI (AMD) drivers, it is essential to use a clean Windows assembly. These include OEM, BOX, and MSDN. If you use Zver, Loner, Black, Lite and other not original Windows assemblies, then installation problems with the driver data are almost guaranteed. It’s not about licensing. Everything is much simpler. Often the authors of such assemblies remove many important components from the Windows distribution, integrate drivers for desktop video cards and make other changes to Windows. Here, on this ground, the problems with installing them for the video card can appear. Most laptops and ultrabooks use integrated graphics cards from Intel or AMD. In case you own a laptop with integrated Intel HD or AMD graphics, you must install drivers from the laptop manufacturer’s website, because they often adapt to a specific model and the ones from the site of the chipset developer may not be suitable. In the future, we recommend regularly checking the urgency of the drivers not only for the video card but also for other components of the system. And if it happens that you need to download drivers for Windows, the easiest way remains to do it on the site mentioned above.